From amateurs to Pro’s the Odyssey company is world renowned for their putters. They actually have eighteen models to choose from, but I believe that the Odyssey White Hot XG model is the best model that they offer. They have come up with this new putter face insert technology that is second to none. It gives you a much softer feel when you are putting and it is only available with the White Hot XG putter. According to the Odyssey company the new design was solely based on the new two layer golf balls that are also softer. To achieve this effect with the putter two different materials are used, the first being what is called an elastometer core material which is what gives the putter it’s softer feel. The second is a thinner striking surface which is made of a harder material. The face of the putter is also textured which gives a larger sweet spot which translate to more forgiveness with a not so perfect hit. The Rossi model and the Number one, three and nine also come in left-handed models as well. Back in 2007 when Phil Mickelson won the Players Championship he was actually using the Odyssey White Hot XG number nine version. The most radical looking putter would have to be the number seven model which has weighted wings that helps you with alignment of your putts. The Odyssey progressive line of putters are based more on your modern basic designs especially as far as the putting alignment aids. Like the two ball putter which has more of a head weight distribution technique. There are two versions of the Odyssey White Hot XG Marxman putters. One is more of a mallet design and the other is on the line of a blade putter. 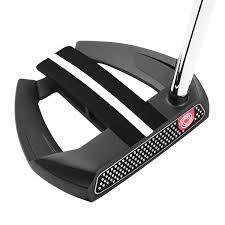 The progressive models are more like two ball putters but as opposed to golf balls at the back of the putter they have long parallel lines to help you to line up your putts better. 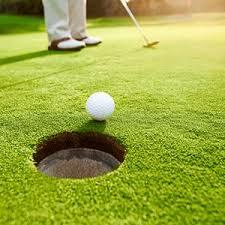 The more I see golfers putting their biggest problem seems to be proper alignment of their putts. These Odyssey White Hot XG putters will certainly help in this area of your putting. The other five putters in the progressive series of putters are all two ball putters, which have become very popular on the PGA tour recently. These are also available in both mallet and blade designs. The newest version of the Odyssey White Hot XG putter is called the Saturn ring technology putter. What it is basically a semi circle of metal is added to the rear of the putter. What this does are increase the sweet spot on the face and offer more forgiveness with off hit putts. It also cuts down on the club twisting on you thus preventing your putts going offline. 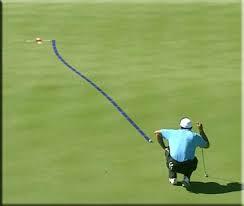 One of the biggest problems I see with most recreational golfers is that they tend to hit their putts offline. I believe the best solution for this problem would be the Odyssey White Hot XG line of putters. 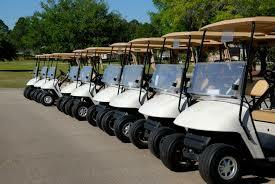 Which in return will make the game of golf much more enjoyable and more fun. I truly believe in the Odyssey White Hot XG line of putters. I use one myself and I am extremely happy with mine. 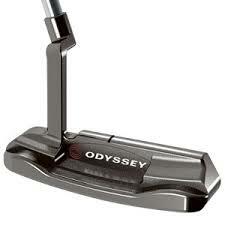 I think if you switched to the Odyssey White Hot XG putter you will be extremely happy as well. 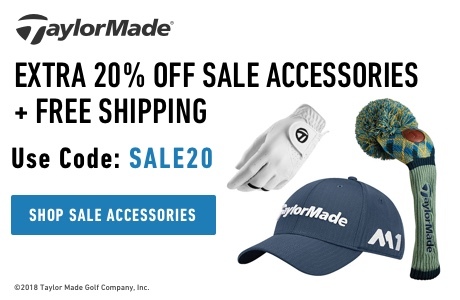 You will be shocked with the amount of shots that you will save on the greens during your next round of golf. I hope you have enjoyed my review of the Odyssey White Hot XG putter. Please, if you have any questions feel free to ask below and I will get back to you as soon as possible. Also, feel free to leave a comment about my review below. It is no secret that in order to reach your ultimate golf level, golf fitness exercises play a huge part in your reaching that level. Even the professional men on the PGA tour and the professional woman on the LPGA tour understand the importance of golf fitness exercises to keep their respective games at their ultimate level. 3) What are the benefits of golf fitness exercises for the woman golfer? As we move on here I am going to focus on question number three, that being the topic of the best golf exercises for woman. Is there really that much difference in golf fitness training between the LPGA woman’s pro player and your everyday woman’s amateur player? The answer is no, not really. Granted the woman’s pro player has a lot more at her disposal as far as personal trainers and portable gyms available to them when they are on tour but that does not mean the woman amateur player cannot take their golf game to a level they are comfortable with through proper golf fitness training. The professional woman golfers are the best in the world at their sport but that’s the only difference between them and any amateur golfer. The pro woman golfers have the same skeletal make up as an amateur golfer, they have the same muscular make up as an amateur golfer, they even have the same neurological make up as an amateur golfer. The one thing the pro woman golfer has the upper hand with is their swing mechanics. They have been training their swing all their lives whereas the amateur golfer has not. So in that sense the amateur has a lot of catching up to do. What does sport specific actually mean? 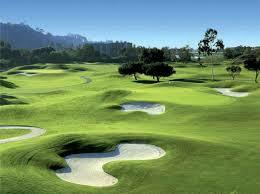 Sport specific means coming up with a training program primarily geared around the sport of golf and golf alone. There are many positions, body movements and actions. Some that are not really a natural action for the human body to make. Because of this certain golf fitness exercises need to be learn in order to train the woman golfer to perform these movements without fear of muscular damage or injury. The first and probably most important fitness training would be improving the woman golfers flexibility. In improving your flexibility your will develop a larger shoulder turn which in turn will give greater club speed which will create longer drives. All of these things should be taken into account for the woman golfer to put together a golf fitness program that will take their golf swing to a nice consistent level. 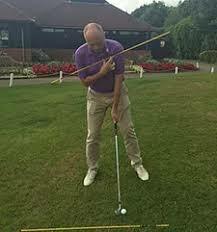 The actual golf swing is really quite simple if your really think about it. Mainly it is the body’s backward and forward motion in order to accomplish a goal, which is to hit a golf ball with a club. In order for any of this to happen the core needs to coil and uncoil in a continuous motion to execute the golf swing correctly. This is where flexibility comes most into play. You need to develop rotational exercises in order to strengthen your core. These can be as easy as sitting in a chair and rotating your body back and forth, stand up and rotate your shoulders and torso back and forth, practice doing planks to engage and strengthen your abdominal area. Doing some of these same exercises will also improve your overall balance in your golf swing. When your take a golf swing not only does your core have to be flexible but you also need to be balanced, there should be little movement anywhere but for your shoulders and torso rotating back and forth. 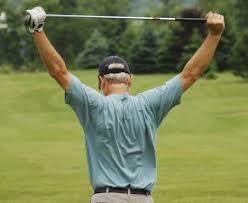 Another key element in your executing the golf swing correctly is your endurance. 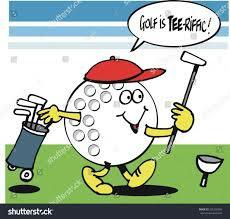 Have your ever gone to the driving range and got a large bucket of balls and by the time your are half-way through your golf shots seem to start to scatter all over the place. This is a sure sign that your muscles and stamina are getting fatigued. You can correct this by just walking, power walking or use a treadmill to grow your stamina and endurance. 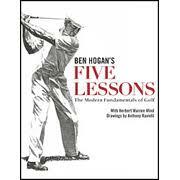 As with men golfers the same principle hold’s true for woman golfers. The more club head speed your can generate the longer your drives will travel. So even woman golfers need to incorporate a power regime in their golf fitness workouts. When doing your strength exercises your must be careful not to use too much heavy weights, heavy weights will create muscle mass and that will lessen your flexibility. What you want to do is use less weight, say five or ten pounds at the most. Use less weight and more repetitions until your muscles fatigue, rest and repeat. So whether it is the LPGA woman pro or the amateur woman golfer the golf fitness program is the same. The exercises in the woman’s golf exercise program are designed to improve the movements and positions that are required to improve tour golf swing. Just always remember the golf swing requires a certain level of flexibility, balance,strength,endurance and power to perform it correctly. I certainly hope your have found this article helpful and informative. 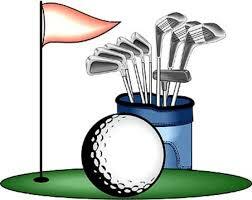 If your have would you please leave a comment below so I can continue to bring useful golf knowledge and information to your, and as always any questions you may have please feel free to ask below as well.